Dr. Christer Ljungwall is a China expert specializing on growth, institutions, regional development, and macro-finance. He currently lives in Beijing and works for the Swedish Agency for Growth Policy Analysis, as the Head of Office of Science and Innovation of the Swedish Embassy. 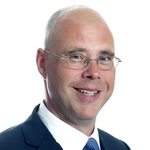 Christer is also Associate Professor in economics at Copenhagen Business School. He holds a Ph.D. in economics from the University of Gothenburg. From 2004 to 2009, Christer was a guest researcher at China Center for Economic Research, Peking University. More recently, Christer was Sr. Country Economist at Asian Development Bank in Mongolia. Christer is actively engaged in several research projects led by Unirule Institute of Economics, one of China’s internationally most renowned think-tanks. He publishes regularly in international journals.